Giuliani this morning endorsed Trump in an interview with CNN, but repeatedly stressed that he is not involved with the Trump campaign. Giuliani complied: “I'm Rudy Giuliani, I mean a lot in New York politics, I endorse Donald Trump." Giuliani said "I'm not a surrogate," Giuliani said. "They haven’t asked me to do anything. I’m not involved in the campaign." As New Yorkers head to the polls today, former New York City Mayor Rudy Giuliani is throwing his support behind GOP front-runner Donald Trump, saying he is the "best choice" and comparing him to retired Yankees pitcher Mariano Rivera. Giuliani this morning endorsed Trump in an interview with CNN, but repeatedly stressed that he is not involved with the Trump campaign. Giuliani complied: “I'm Rudy Giuliani, I mean a lot in New York politics, I endorse Donald Trump." "But I’m not part of the campaign,” he said. His endorsement of Trump is different than New York City Mayor Bill de Blasio’s endorsement of Democratic candidate Hillary Clinton because he doesn’t speak for the Trump campaign and is not part of the organization, Giuliani explained. "I'm not a surrogate," Giuliani said. "They haven’t asked me to do anything. I’m not involved in the campaign." As for why Giuliani is supporting Trump over Texas Sen. Ted Cruz, Giuliani used a baseball analogy. "Cruz is a straight overhand fastball for Hillary Clinton. She’ll knock him out of the park," Giuliani said of Cruz. "Trump - she'll have no idea what to do with. He is a Mariano Rivera," Giuliani said, referring to the former Yankee relief pitcher. Giuliani, who has said before he would vote for Trump, said he believes Trump is "clearly the best choice." "He is the best choice for New York. He is the best choice for the country," Giuliani said. "He is the one who can beat Hillary Clinton." 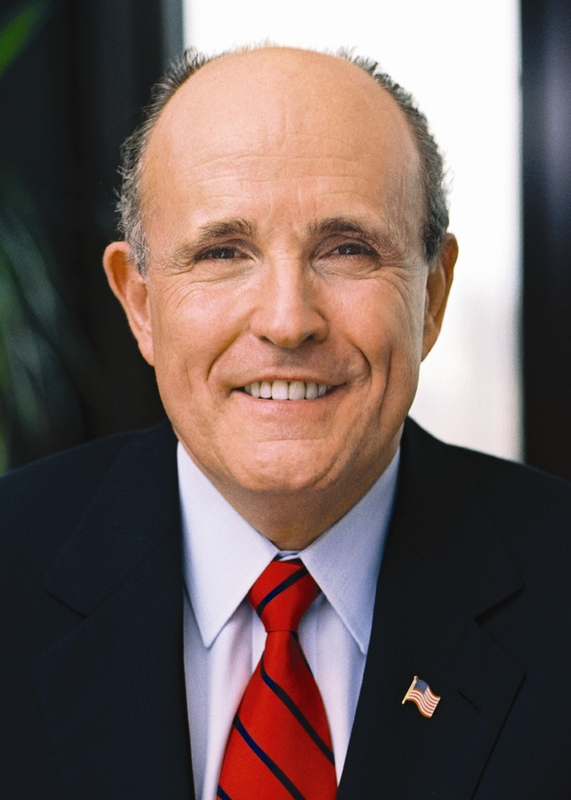 Giuliani was the Republican mayor of New York City from 1994 until 2001, notably during the 9/11 terror attack.